All versions of Windows allow for the sharing of folders and printers over a network. This feature is useful if you want to be able to access files stored on one computer while using a second computer. There are plenty of guides availible that explain how to set up secure file sharing (that is, assigning permissions so only preselected people can access the shares). 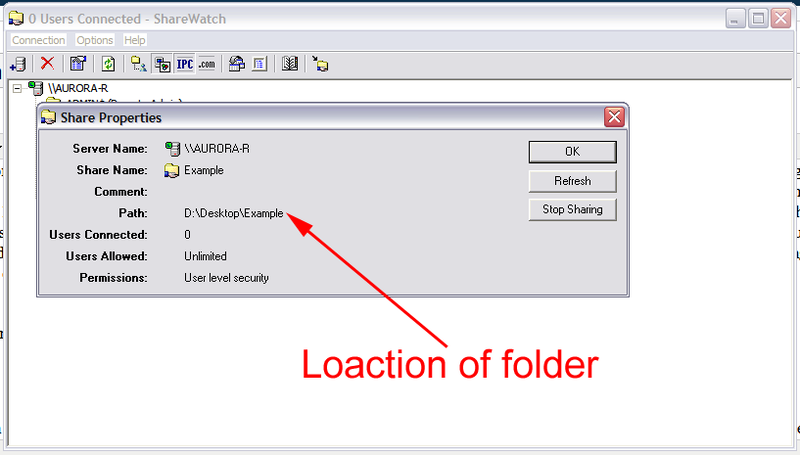 However, sometimes a user’s computer will have a shared folder they aren’t even aware is being shared. If this folder happens to contain sensitive files, a major security risk is present. Also, it is important to realize that when a folder is shared, so are all sub-folders inside of it. That means if your “C:” drive is shared, a remote user can access EVERYTHING on your computer. So how do you know what files and folders your computer is sharing? 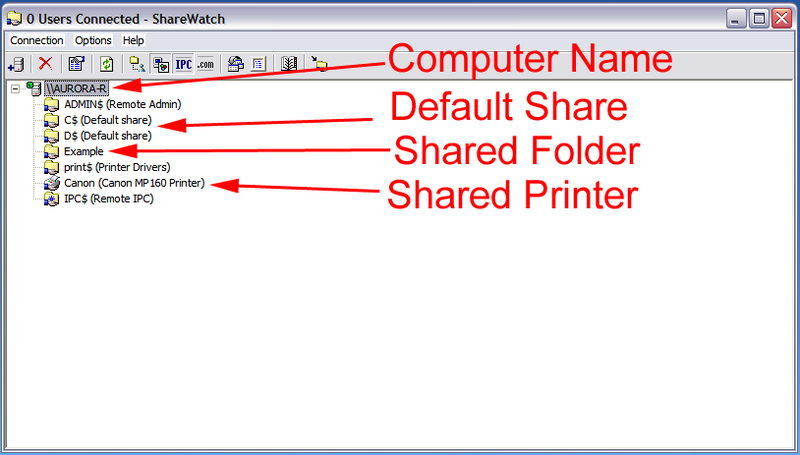 Download ShareWatch and run the program. In the window that opens, you will see a directory tree. Your computer’s name will be at the top and all the shared folders and printers will be listed below it. Any share name that is followed by a dollar sign ($) is a default Windows share and does not present a problem. If you see any folders listed without a dollar sign after them, you should right-click on the share name (in the example above I right clicked on “Example”) and select “Properties” from the menu that appears. Repeat steps four and five until you have examined all of the shared folders. If you decide to leave any folders as active shares, be sure you have the proper permissions set for them. It is generally a bad idea to allow unrestricted access to any shared folder or printer.